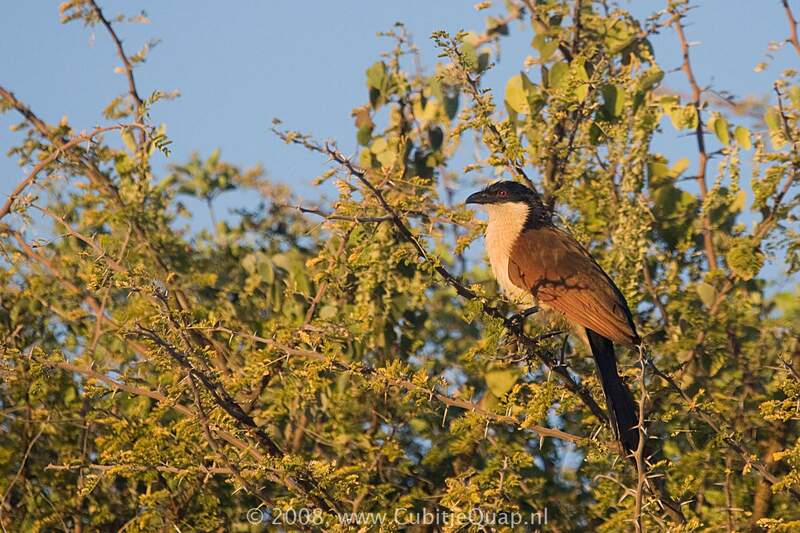 Where the ranges of this species and Burchell's Coucal overlap, identification difficulties arise: Senegal Coucal lacks the fine barring on the rump and base of the tail. It differs from larger Coppery-tailed Coucal by its smaller size and by the brighter chestnut colouring on the wings and back. 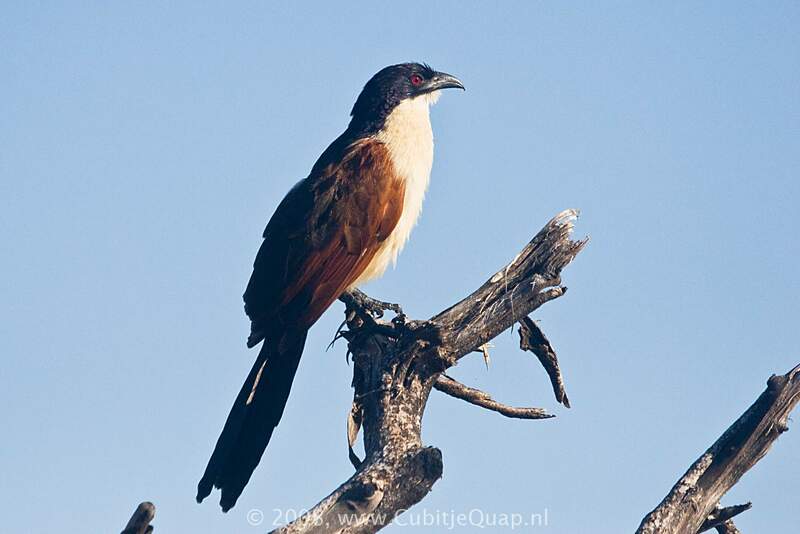 Juvenile of this species and juvenile Coppery-tailed Coucal are indistinguishable in the field except on size. Tangled vegetation and long grass, often near water. 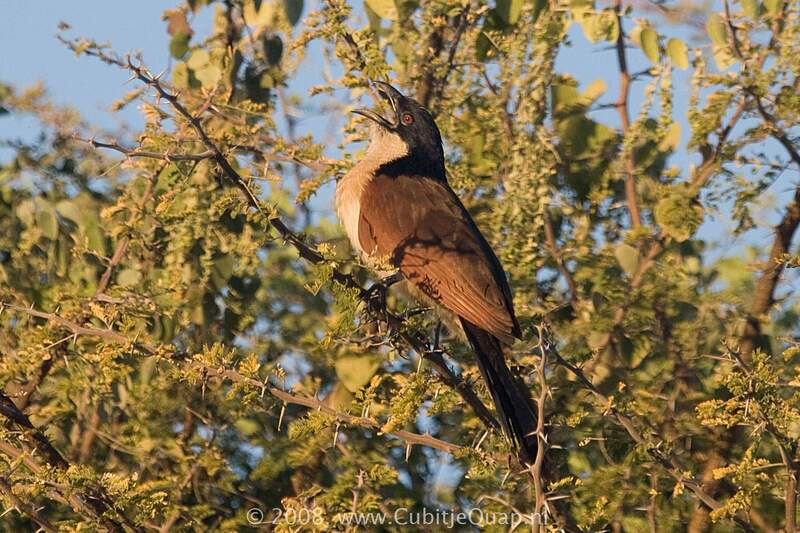 Bubbling song, very similar to that of Burchell's Coucal.